The selected wine for reviewing at the Grape of the Night was Organic wine. Organic wines are chosen by consumers for a couple of reasons. The first is that organic food and drink products are certified to not contain any type of additives or chemicals such as fungicides, pesticides, etc. The second is by people that are allergic to sulfites. According to the FDA about .4% of the population is considered highly allergic to sulfites. 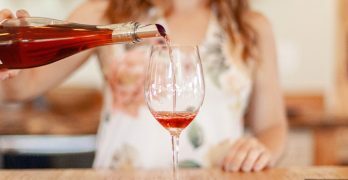 Dr. Vincent Marinkovich, an allergist and clinical immunologist who has performed extensive research on sulfites, says that sulfites pose no danger to about 99.75% of the population. What does it mean when we say that a wine is organic? First assumption is that the grapes were grown in vineyards where no chemical additives were used during the processing of the wine from vine through bottling. Basically, that the wine is free of all artificial chemical additives and is naturally grown and produced. This is where it gets a little sticky in the wine industry. Totally sulfite-free wines exist, but are rare. There are wines that are low in sulfites or free of added sulfites. Sulfites occur naturally during the fermentation process meaning they are not a foreign or added chemical or ingredient to the wine. Natural sulfites found on the skins of grapes can range 6 to 40 parts per million (ppm). Just to set the record straight, Mitchell Zeller of the Washington, D.C. based Center for Science in the Public Interest,states sulfites exist in a wide variety of products at levels that are comparable to, or in excess of the concentrations found in wine. Sulfites range from 6 to 6000 ppm in such products as fruit juices, dried fruits, fruit concentrates, syrups, sugar, jams, gelatins, cake toppings, baked goods, pizza dough, frozen and dehydrated potatoes, processed vegetables, cheeses, as well as in many prescription drugs. Professor Roger Boulton, Ph.D., University of California at Davis, Department of Viticulture and Enology says, “even if no sulfur dioxide is added to wine, fermenting yeasts will produce SO2 from the naturally occurring inorganic sulfates in all grape juices. It is impossible for any wine to be completely free of sulfur dioxide”. The wine industry is the only industry that cannot call its product “organic” even though it is made with more than 95% organic components. Even with 100ppm allowable sulfites the product is still 99.99% organic. Tracy and I went to a Disney Food and Wine seminar by Brassfield Winery. The vintner made some interesting comments to me about organic wines. He said that ALL wineries will spray to save a crop or production. They cannot and will not lose their crops if intervention can prevent it. He also feels that it is done but is not publicized in order to maintain that they are organic. Remember, most wineries lay claim to be organic or that the grapes are organically grown but they are not certified due to the high cost of the certification. This means that it is consumer trust and credibility that the winery is indeed following the organically grown protocols. The Brassfield vintner also said that he had a bottle tested and found no detectable limits of chemicals in the bottle. I have questions on this as no details were provided on the amount or types of chemicals used on the grape vines nor the sensitivity of the analytical equipment. · Finding wines with labels that displayed the Organic certifications could not be found. They exist, but are rare. One reason was believed to be cost. It is very expensive and takes a lot of effort for a winery to be certified organic. 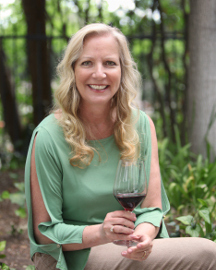 · It was also believed that wineries that are making great wines and are not huge producers that are stocking grocery store shelves are following the guidelines of being organic to allow them to produce the best high quality wine possible. Mass produced wines, like you see in the grocery store, are concerned with spoilage and the winery needs to produce wines in very large quantities to meet the demand. 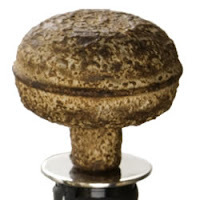 · Wines from most wineries that have limited production are out to produce wines that are fantastic. The care taken to grow and produce these wines are very controlled to produce excellent grape clusters that are carefully selected and picked for production into the wine. Below are the wines that were brought for the Organic Wine tasting. The wines provided for the tasting by the GOTN attendees were diverse and as always interesting. There were two Californian, two French and one Italian wine. Almost a perfect split between Old World and New World wines. The lineup was liked by everyone. Based on the cost of Organic certifications for wineries as well as the confidence that the wineries that advertise themselves as being “Organic” are truly following it. The consensus from many of us at the GOTN feel confident that wineries that are producing fine limited production wines are indeed following tradition like the Old World wineries. To me, I think we are still getting great wines. As always, I want to thank Valencia Wine Company for their never ending hospitality. Julie, as always was on top of her game serving us as well as other customers. I also want to thank Guy for the fantastic Nebbilo to add to our tasting line lineup along with his diverse knowledge and experience about wines. 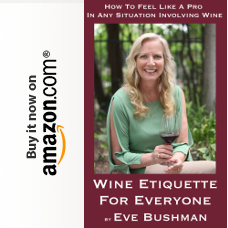 And last but not least, I want to thank the Wine Goddess (Denise Lowe) and my Editor (Eve Bushman) for their help in organizing and providing support. I want to thank everyone for their patience in my unknown schedule. As most of you know I have been on extensive travel for work and the end date is unknown. While I don’t know if I will be in town or not for GOTN I still look forward to it continuing on a monthly basis. There are enough regulars that are there to see that the night progresses even if I am not in attendance. Thank you! I have been asked the question about organic and if wine has sulfite's more times than I care to count. Then when I explain that all wine has sulfite's, people want to disagree sometimes in a very disagreeable manner. This is a great post, one of your best! Thank you Susan. It was iteresting doing the research. There are lots of ambiguities in what makes a true Organic. It goes back to one's interpetations of the requirements and the credability of the winery to follow it if they are not certified. Hi Sly-Lisa Bell here with Natural Merchants organic wine importer. Great article on the differences between certified organic wines and those made with organically grown grapes. A couple things though. The representative from Brassfield Winery was incorrect in saying that ALL wineries would spray their vineyards before losing a crop. If that were true, wineries growing grapes that are certified organic would lose their certification, for three years. None of the wine producers we work with would do such a thing. There are more and more No Sulfites Added USDA certified organic wines in the marketplace, and even sold at grocery chains across the country. We for example import NSA certified organic wines from Spain and Italy that are available at chains including Winn-Dixie in Florida. Spartico, made by Spain's oldest estate winery Bodegas Iranzo, is an NSA certified organic Tempranillo from Spain; and we have three red wines from Italy from the winery La Cantina Pizzolato. All are under $16 a bottle! Our winery partners have figured out how to make quality, affordable organic NSA wines that can be shipped to America. Thanks for the great work and for bringing the organic wine issues to light. You can find out more about our wine offerings at http://www.naturalmerchants.com.